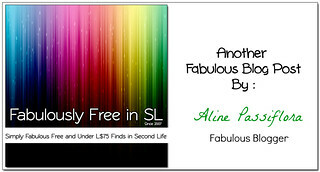 I’m taking a page for Pru and Aline’s book…. or from their posts… and taking a minute to find some calm. Take a break, so to speak. The Holiday season is always full to the brim with presents and shopping and decorating and baking and eating and parties… Whew! I’m exhausted just thinking about it all. So I took a minute… and a glass of a very nice adult beverage and took a breather. Amid all the hustle and bustle, so many of my favorite designers have shown us their holiday spirit and given their groups some lovely gifts. S@bbia, one of those favs, has really out done herself and given us this beautiful cozy outfit just to say “Merry Christmas”. Each piece here, the boots, the skirt and the sweater are all separates. It’s like getting three gifts in one. Use the sweater to top some cute jeans or add those delicious boots to a mini skirt. It’s all up to you! Just join the S@bbia Group, it’s FREE and get your “Merry” on. 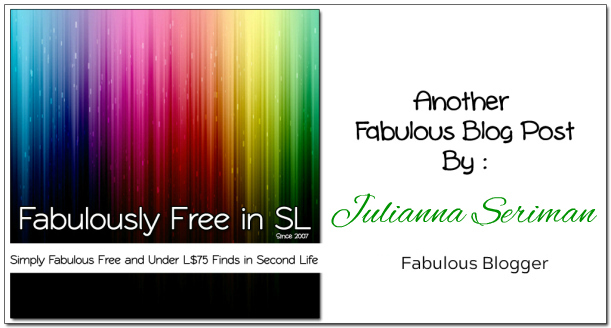 Categories: all-in-one outfit, dress, fitted mesh, Free, group gifts, groups, mesh, shoes, skirt, Uncategorized | Tags: 0L, fab free, Fab Free in SL, fabfree, fabfree in sl, fabulously free in SL, fashion, free, free fashion sl, free in sl, free sl, freebie, freebies, freebies sl, gift, gifts, group gift, Ikon, Juli, Julianna Seriman, lelutka, maitreya, Maitreya Lara, monso, pout!, S@BBiA, Second Life, Second Life Free, Second Life Freebies, sl, sl free, SL Freebies | Permalink. HAPPY DECEMBER FAB FREE! Oooh, I’m just so excited. The season of Advent brings oh so much awesomeness with it, including pretty outfits, fun parties, and a whole lot of freebies! Let’s get down to it! How sweet is this little red dress!? It’s perfect to welcome the season of Advent and all it brings. I got this lovely dress over at Egocentrikax by joining their group for free, which makes this cuteness completely FREE! Yaaas! In the box you’ll also find a pretty pink version with the same scandi-style print. Love it! Did you make it over to SaNaRae yet? I mentioned the other day that there were a whole bunch of gifts for you to grab, and I’m showing off two more right now – My super cute red hair bow by Kyoko Couture (which comes in three colours, and is resizable), and the pose by Pacagaia, that I think is fairly adorable. Don’t you? You can get this plus oh so much more by joining the SaNaRae group for free! Hop to it! Enjoy the beginning of December, my dears! Categories: accessories, dress, events, Free, group gifts, mesh, poses | Tags: #Adored, Aline Passiflora, Egocentrikax, fab free, fabfree, fabulously free in SL, free, freebie, Glam Affair, JUMO, Kyoko Couture, lelutka, maitreya, monso, Pacagaia, Second Life, Second Life Free, Second Life Freebie, secondlife, secondlife free, sl, sl fashion, sl free, sl freebie, sl gift, sl style | Permalink. Is Monday over yet? I hid under the covers all day just to be sure. And I still don’t wanna get up. 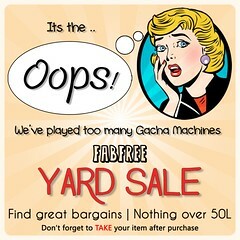 Loki has put out an awesome Gacha at the Brothers Grim event just for us lay abouts. This is the “Good Morning” gacha set in lavender. Both the top and the shorts come with a HUD to change the color of the lace from black to white. The top, shorts, slippers and sleep mask all come in five pastel colors for the commons, black and white for the rares and a dress for the ultrarare. All of them are exclusively fit to Maitreya. And at just 50L per play, I collected my complete outfit without breaking the bank. The Brothers Grim Event runs until November 30th for all your enchanted shopping needs! 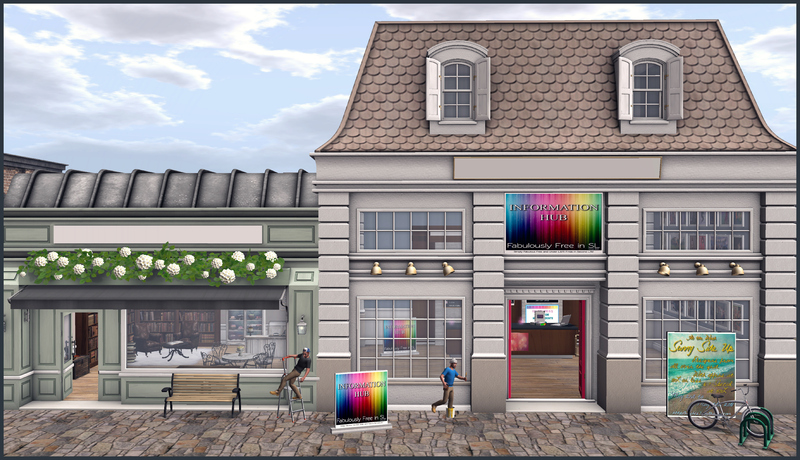 Categories: events, gacha, lingerie, mesh, sleepwear, Uncategorized | Tags: +Half-Deer+, Brothers Grim, fab free, Fab Free in SL, fabfree, fabfree in sl, fabulously free in SL, fashion, gacha, Ikon, Juli, Julianna Seriman, lelutka, Loki, Luane's World, maitreya, Maitreya Lara, monso, pout!, Second Life | Permalink. Okay, you may have guessed it … I am a life long member of the Lacey and Frilly Fan Club. 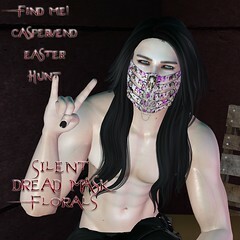 So when I heard Blacklace was having a Hunt, I was all over it! The Boo! at Blacklace Hunt is running until Oct. 31rst so you have another week to gather up all THIRTY FOUR prize pumpkins set out for us. Each 0L pumpkin contains some serious goodies. Everything from PJs to formal gowns and even poses are here for the picking. Blacklace alone has set out ten prizes for us one of which is this lovely set called Vivian (Trick). And yes, there is also a prize of this same set in a cute candy pattern called Vivian (Treat). Categories: appliers, classic avatar, fetish, Free, groups, hunts, lingerie, Uncategorized | Tags: 0L, Blacklace, fab free, Fab Free in SL, fabfree, fabfree in sl, fabulously free in SL, fashion, free, free fashion sl, free in sl, free sl, Free Underwear, free underwear sl, freebie, freebies, freebies sl, gift, gifts, hunt, Ikon, Juli, Julianna Seriman, lelutka, maitreya, Maitreya Lara, monso, pout!, Second Life, Second Life Free, Second Life Freebies, sl, sl free, SL Freebies | Permalink. Hello there Fabulouses! 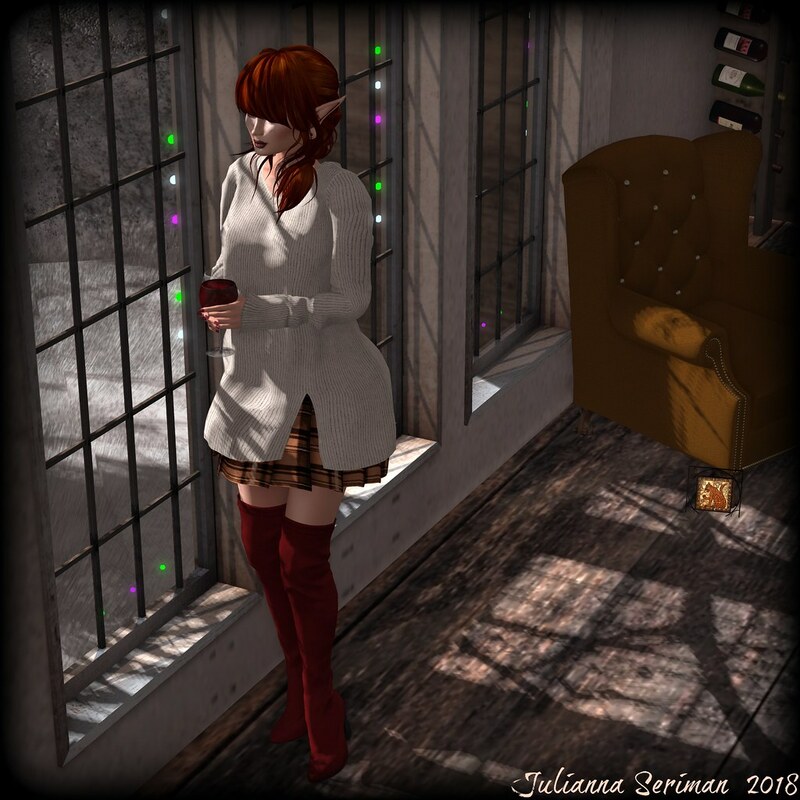 Juli and I headed out this evening with full intentions to work on a blog post to show off the amazing Fifty Linden Friday offers at Valentina E., but we got caught in a rain storm and had to rush back! Only a few hours left for this offer!! Don’t delay if you are digging the look of my outfit or Juli’s because both of our outfits are just 50L each until midnight tonight! I am wearing the Irina outfit that goes on in one click and includes the pants, shirt and jacket in a dark grey/black. Juli is wearing the Wednesday Dress. Seriously – both amazing… If you have 100L – get them both! These are quality made, original mesh creations! Categories: dress, events, mesh, outerwear, pants, shirt | Tags: !Aphorism!, 50L, belleza, Catwa, Chameleon, fab free, fabfree, fabulously free in SL, Fifty Linden Friday, FLF, Garbaggio, Glam Affair, Ikon, Julianna Seriman, lelutka, Love Trill, LW Bento Poses, LW Poses, maitreya, Missing Melody, monso, navy & copper, pout, Second Life, sl, The Pose Fair, Valentina E. | Permalink. Oh my FabFree Darlings! How I’ve missed y’all! Real life can be a real pain in the a…. um, neck sometimes. But y’all know that by now. Anyways, Love and Pru, being the dolls they are, have very graciously asked me back and I was delighted to jump onboard. SO, like a bad penny, I’m back! And what better way to ‘tip toe’ back in than with some free socks? The Fall Socks from Star Sugar are this month’s free group gift. The group does have a small 50L fee to join but there a lots of past group gifts available so it’s Lindens well spent. The socks are fit to Maitreya and come with a HUD with eight colors and patterns, each one as cute as the foxy one I chose. Both left and right sock can be applied separately so you can mix and match to your heart’s content. 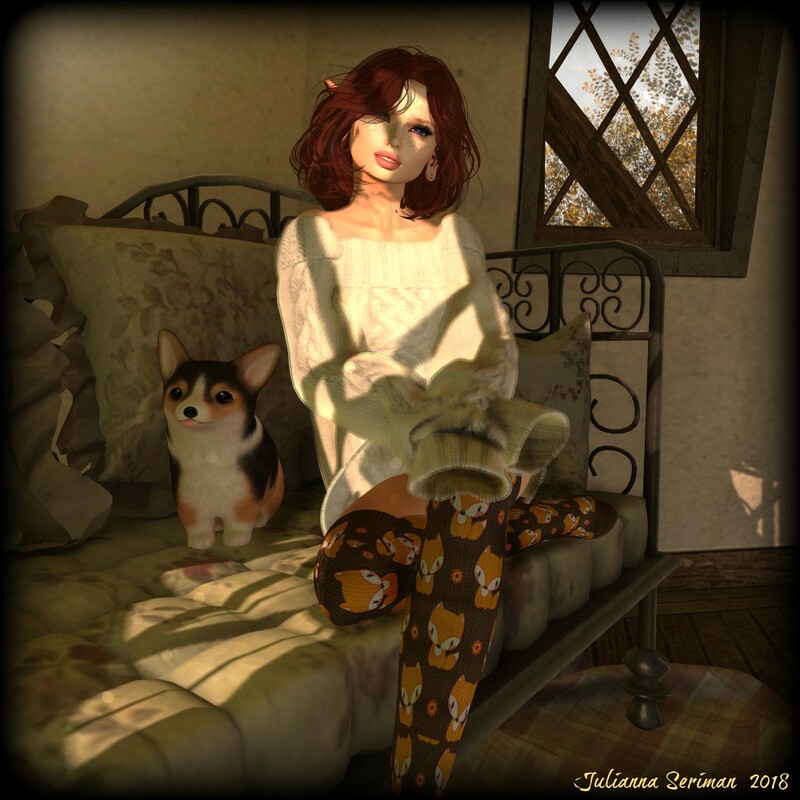 Categories: accessories, Free, gacha, group gifts, groups, mesh, other, shirt, socks, Uncategorized | Tags: +Half-Deer+, freebie, Hazy, Ikon, Julianna Seriman, lelutka, Luane's World, maitreya, monso, pout!, Star Sugar | Permalink. Happy weekend, fabulous readers! Fergus and I went for a lovely ride on the beach at the Cape Florida Lighthouse this afternoon. We also picked up a few more goodies from The Beached Bunny Hunt 8 (TBBH8), and Fergus even found a freebie for himself along the way (not in the hunt, just to be clear)! BTW, I noticed that their gift from last year’s TBBH7 is still out, so make sure you grab the gift for this year’s hunt. I did that by accident and had to go back to find the right one! Next, we headed over to Me’LanGe and picked up their gift for TBBH8, which is these Apple-Bottom Dazie Dukes shorts. And ladies, they are most definitely short! The shorts come as an Omega applier and must be applied in 2 sections, top and bottom. If you are a Maitreya Lara body wearer, don’t forget to add your Omega Relay HUD before trying to apply the shorts (yep, I forgot to do that at first – DOH!). 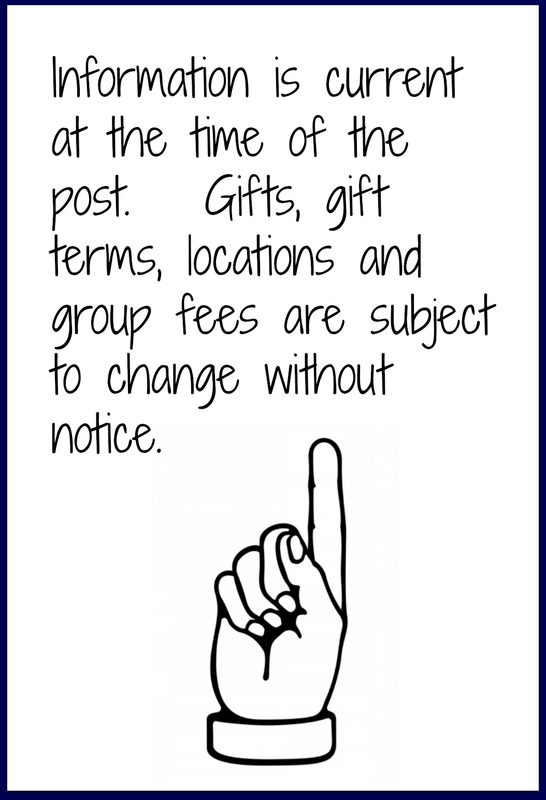 Just a reminder: all gifts in TBBH8 are 1L each. The hunt runs through July 31st. The Painted Pony has a set out the chestnut-brown Crispin coat applier as a free gift for the Water Horse Bento Riding Horse. 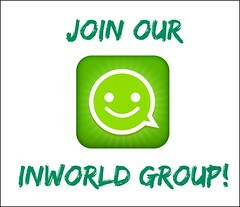 No group-join is needed. It will work on the draft as well as the light horses. Categories: appliers, dollarbie (1L-3L), hunts, pants, shirt | Tags: cape florida lighthouse, fab free, fabfree, fabfree in sl, fabulously free in SL, Glam Affair, Izzie's, Jinx, lelutka, maitreya, Mandala, me'lange, monso, Second Life, Serena Snowfield, Sevyn East, tbbh8, The Beached Bunny Hunt, the painted pony, the texture barn, TRUTH, water horse riding horse, we <3 role-play | Permalink.